Eggs are one of my all around favorite sources of protein. This one food is a complete protein, a healthy fat and packed with amino acids. The egg yolk, besides tasting delicious, is also full of choline which is a methylator and great at removing unwanted xeno-estrogens from the liver. Which is just one reason among many why I do not believe in leaving out the yolk and eating only the egg white; egg yolks do tremendous things for balancing your hormones! So, eat up and embrace all the delicious ways you can cook with this diverse food. I enjoy them hard boiled on a salad at times, but baked eggs are my absolute favorite. 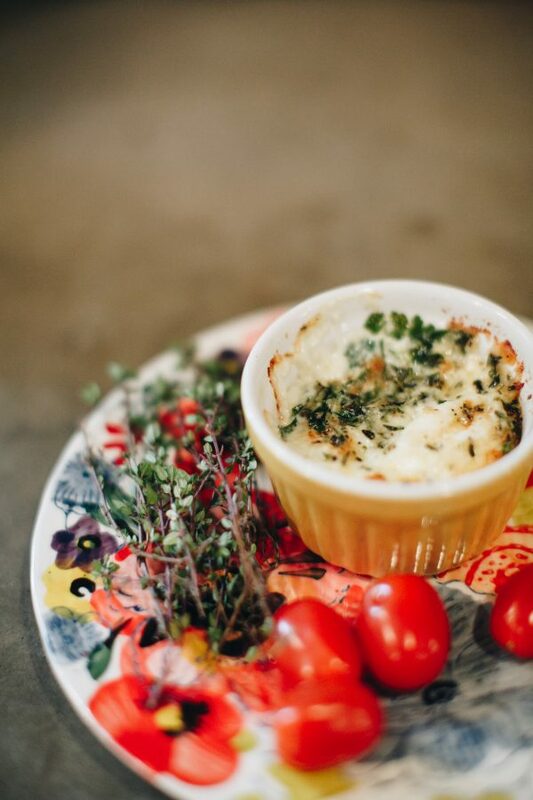 Below is an easy and quick recipe for baked eggs. You can easily throw this together for a little brunch or, for a light dinner, with a green side salad. 1. Preheat oven to 200˚C (400˚F/Gas 6) and put a baking tray on the top shelf. 2. Grease 4 ramekins with the melted butter. 3. Pour half the cream into the ramekins and then put a quarter of the garlic, ham and cheese into each. 4. 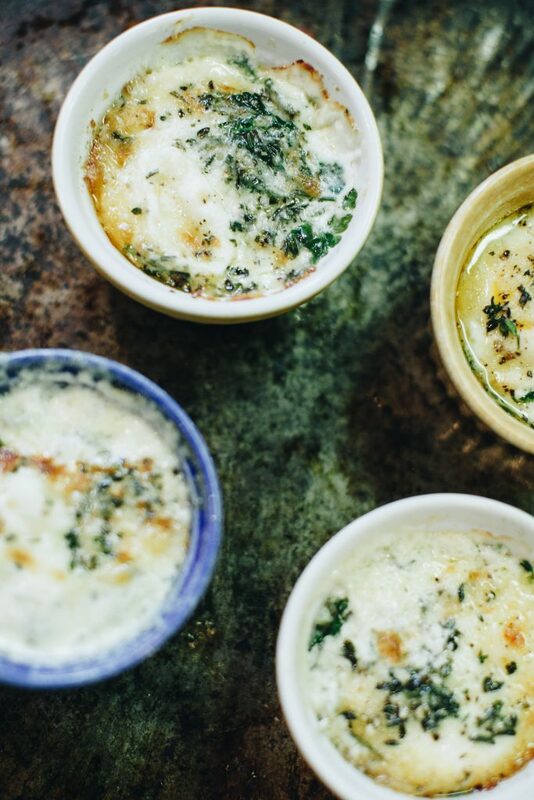 Break an egg into each ramekin. 5. Mix the remaining cream with the herbs and pour over the top. 6. Bake for 15-20 minutes on the hot baking tray, depending on how runny you like your eggs. 7. Remove from the oven while still a little runny as the eggs will continue to cook. 8. Season well with salt and pepper and serve immediately. Preferably with toasted crusty bread. Preheat oven to 200˚C (400˚F/Gas 6) and put a baking tray on the top shelf. Grease 4 ramekins with the melted butter. 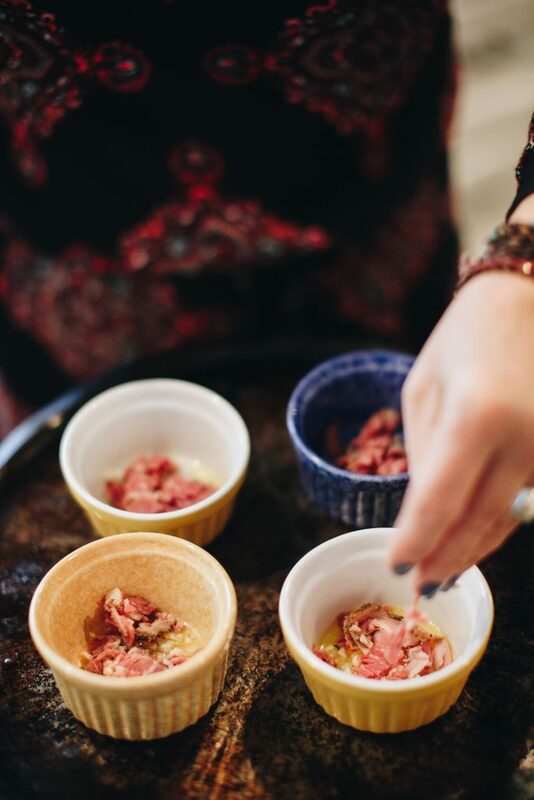 Pour half the cream into the ramekins and then put a quarter of the garlic, ham and cheese into each. 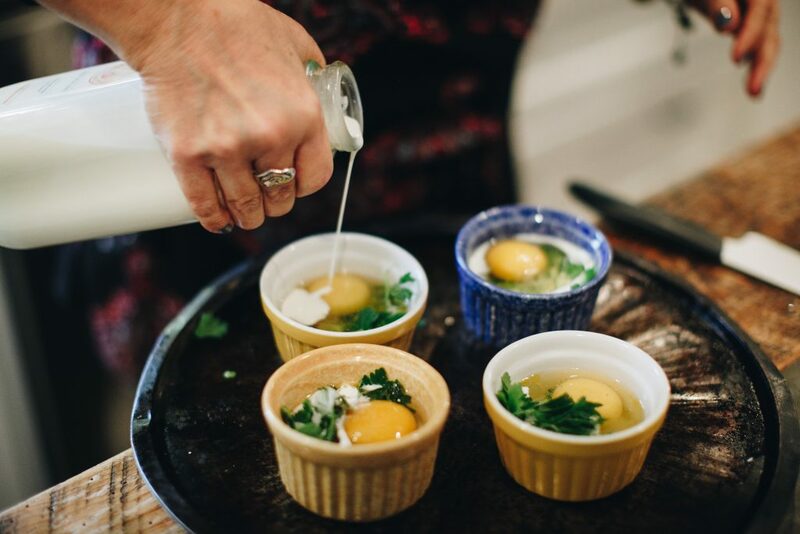 Break an egg into each ramekin. Mix the remaining cream with the herbs and pour over the top. Bake for 15-20 minutes on the hot baking tray, depending on how runny you like your eggs. Remove from the oven while still a little runny as the eggs will continue to cook. Season well with salt and pepper and serve immediately. Preferably with toasted crusty bread. Serves 4. Enjoy!